T3 Agenda: Triby, a smart Apple HomeKit speaker. A razor from Gillette designed for assisted shaving. And more! This is Triby, the first smart speaker that gives greater control of the Apple HomeKit ecosystem. 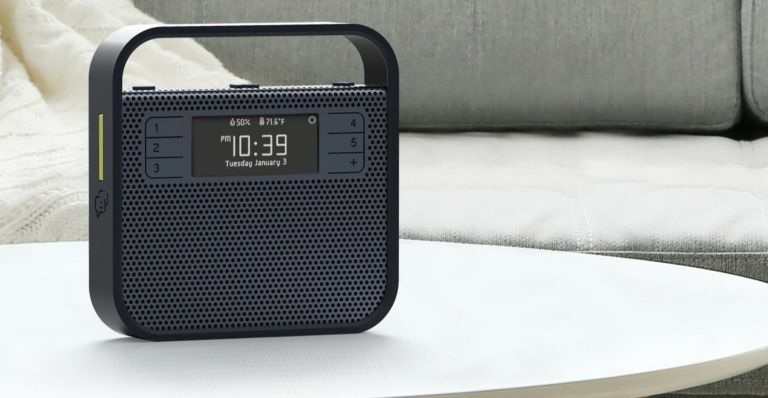 It features high quality acoustics and it provides an easy listening to music and radios through its five direct access buttons. The new Triby now lets you control your home scenes using the Apple HomeKit ecosystem, with more than a hundred easily installed home automation items. With its numerous front preset buttons and integrated voice, temperature and humidity sensors, Triby can create scenarios to turn on the lights, adjust the heating and close the shutters on demand, among other things. Triby is even IFTTT-compatible. The new Triby is priced at $199/€199 (£151) and will be available on invoxia.com and amazon.com. Venerable shaving brand Gillette has developed the Gillette Treo – the first ever razor designed for assisted shaving. It’s been specifically engineered to offer a more comfortable and dignified shave for all ages and backgrounds who, for whatever reason, are unable to shave themselves. Unfortunately, it's not available for purchase on the UK - not yet, at least - but the latest stage in the Gillette Treos development is a large scale trial is now live. Now UK professionals and consumers can request a free Gillette Treo sample to test and share their reactions, which will help the Gillette team further refine the product experience at launch and beyond. You can sign up and order yours today, direct from Gillette. Indoor cycle training has just got even more exciting with new that MYCYLING, the innovative indoor cycling device from Technogym, is getting full integration with Zwift, which can now be linked directly via the MYCYCLING app. Zwift is an online platform offering cyclists the chance to train and have fun challenging other cyclists online, and accessing a digital experience packed with maps, routes and competitive challenges. With the combo of MYCYCLING and Zwift, you can customise your virtual routes, take part in special challenges and compare your performances with other users. With the colder months setting, there's never been a more perfect time to upgrade your indoor riding setup. Camera maker lomography is celebrating a decade of its popular Diana F+ camera with the launch a special anniversary special edition model. This super easy to use camera comes with two shutter speeds, a shutter lock, and a tripod thread so your snaps will be expertly shot. The Diana F+ 10 Years of Diana Edition comes in a striking red shade, set against a pastel blue body and a swinging sixties multicolored lined trim. Complete with a retro gold lens, it's certainly going to stand out in any photo opportunity. And with just 1,500 units available from Lomography Online Shop and Gallery Stores worldwide, the Diana F+ 10 Years of Diana Edition is a true collector’s item. Get yours now for as little as £79.